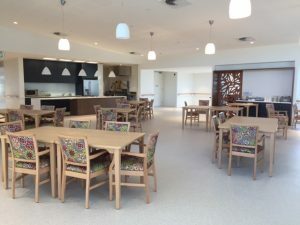 Banksia Lodge is an architecturally designed and contemporary residential aged care facility located in beautiful Broulee. The facility is fully accredited and government subsidised. The Lodge includes 80 single room suites, appointed with quality inclusions and complete with en suite, kitchenette and peaceful garden outlook. Wheelchair access is available to all rooms, and several rooms are designed for special needs. Telephone, internet and Foxtel are available in each room. We know how important privacy, dignity and independence are for you and your family. And they’re just as important to us. Our spacious common areas include a central lounge, two dining rooms, activities room, craft room and several smaller lounges – all surrounded by tranquil, family friendly gardens and outdoor spaces. Our new award winning $9m extension incorporates a stunning dining and lounge room, a commercial grade kitchen and laundry, outdoor entertaining area, landscaped gardens and water features. You will have your own tastefully finished fully private room, with a kitchenette and small refrigerator, en suite bathroom and attractive garden outlook – ready for you to add your individual style and personal comforts such as your favourite chair, pictures, music, books, memorabilia and so on. Each room is fully equipped with reverse cycle air conditioning for your individual comfort, and can be securely locked by you when you come and go. Foxtel is provided free to all rooms; telephone and internet connections are also available in each room. Our 24 hour emergency assistance call service is active throughout Banksia Lodge, including each resident’s own room. Our friendly, professional and qualified staff will assist you with all your personal needs from housekeeping and laundry through to bathing and showering, dressing, grooming, mobility, and helping with medications and other clinical care requirements. Residents can access on-site medical and personal care services, including GPs, physio and other allied health services, and professional hairdressers at our Banksia Salon. A wide range of social activities and programs is available for those who wish to participate, including our own Active Living program. Access to Banksia’s wellness facilities, which include a hydrotherapy pool. Meals are prepared by our qualified Banksia staff on site and served in our beautifully appointed and welcoming dining rooms. Family and friends are most welcome to join residents for meals, with prior arrangement, or to relax with them in beautiful gardens and entertainment areas. Comfortable and spacious common rooms, libraries and recreational areas allow residents to mingle, read or watch television, join in activities or just sit quietly and relax. Our extensive landscaped gardens and restful water features encourage native bird life and provide beautiful havens for outdoor relaxing. We have two buses (one with a wheel chair lift), which we use to take residents on excursions, outings, visits and for regular weekly shopping trips to Moruya and Batemans Bay. Our clinical and care teams are highly qualified professionals, with Registered Nurses on duty seven days a week. Our residents can also access on-site medical and personal care services, including GPs, physio and other allied health services, and professional hairdressers at our Banksia Salon. Our Leisure & Lifestyle Team runs a wide range of activities and programs each week to help residents remain active, social and healthy. Residents can participate in activities such as Tai Chi, sing-alongs, seniors’ concerts, art and craft classes, computer activities, Men’s Shed, as well as shopping, social outings and local tours. Keeping physically active and mentally stimulated is important at any age, but particularly in our older years when our lifestyles or health can change. With this in mind, and with the support of our wonderful Friends of Banksia, we developed our highly successful Active Living program for Banksia Lodge residents. We are continuing to develop our Active Living program further, as there has been a great response from residents who see it as a valuable part of their lifestyle at Banksia. Banksia Village’s Men’s Shed was established in July 2013, when our Activities Officer Peter Eveille identified that a shortage of activities for male residents in Banksia Lodge was limiting opportunities for social interaction. 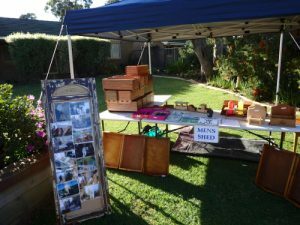 With his prior knowledge of Men’s Shed objectives, Peter established what has become a thriving Men’s Shed program at Banksia Village. Peter worked with the University of Canberra’s Chart Program to secure initial funding for the project and registered the Banksia Village Men’s Shed as a member of the National Men’s Shed Association. Today, Banksia’s Mens’ Shed makes a valuable contribution to the lifestyle of our male residents, giving them a sense of individual empowerment and accomplishment. 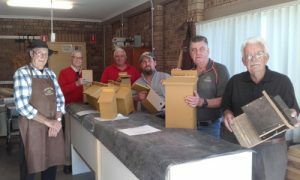 Our broader community has also benefited through initiatives such as the partnership with Mogo Zoo, with our Men’s Shed members providing breeding boxes for the Zoo’s breeding program. Banksia Lodge is a fully accredited, government funded and regulated residential aged care facility. As such, it provides residential aged care primarily for persons of pensionable age. By law, this means a resident must be at least 60 years of age or, if a couple, at least one partner must qualify on this age requirement. Disabled people who are capable of living with a degree of independence are also eligible for residential aged care. To be eligible, you will first need an assessment by a member of an Aged Care Assessment Team (ACAT). To find your local ACAT provider, or for more information about ACAT assessments, you can call 1800 200 422, visit myagedcare.gov.au or talk to your GP. Whether we have the appropriate resources and facilities to provide you with the level of care for your situation. As Banksia Lodge has a limited number of rooms available, they are offered to people for whom the accommodation will be of the most benefit. Because of this, rooms cannot be offered on a “first come, first served” basis. If you would like to apply for residential accommodation at Banksia Lodge, please contact our Lodge Liaison Officer, Sarah Delaney, for more information. The fees and financial arrangements for Banksia Lodge meet the Federal Government’s guidelines for residential aged care facilities. The information provided below relates to aged care costs from 1 July 2014. If you would like information about fees and charges prior to 30 June 2014, please call Banksia Village Administration on (tel) 02 4471 6031 and we will be happy to assist you. Alternatively, you can visit the Federal Government’s website myagedcare.gov.au. Banksia Lodge is part-resident funded. This means that residents will be required to make an accommodation payment which will cover the value of their room in accordance with Federal Government guidelines. Any refund of contributions will be in accordance with those guidelines and your residential agreement with Banksia Lodge. Some accommodation is available for those unable to make an accommodation payment. Four rooms are also available for short term respite care. Residents will be charged a basic daily fee for their living costs and services provided. The fee is governed by Federal Government guidelines. Some residents may be required to pay a means-tested care fee, which is an additional contribution based on an assessment of your income and assets by Centrelink or the Department of Veterans’ Affairs. As a fully accredited, government funded and regulated residential aged care facility, residents must meet certain eligibility criteria. You can learn more about accreditation for residential aged care facilities at the Australian Aged Care Quality Agency’s website. If you would like to apply for residence at Banksia Lodge please contact our Lodge Liaison Officer, Sarah Delaney, for more information. Caring for an elderly friend or loved one can be a deeply rewarding experience but it can also be very demanding, emotionally and physically. Specialised clinical and nursing care is often needed, particularly with progressive illnesses such as dementia. 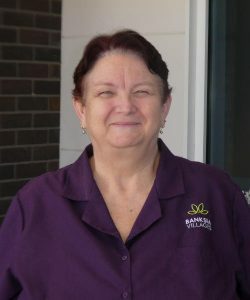 At Banksia Lodge, we provide highly qualified, person-centred and understanding respite, dementia and palliative care and support for residents and their families. We work closely with residents to improve quality of life and provide the support needed through every stage. Our palliative accommodation options are designed to provide flexibility, privacy and choice, allowing residents to stay in the comfort and familiarity of their own room or in our special family friendly palliative suite. As each individual has different needs, we must assess their personal situation to ensure we can provide the level of support and service they require. Our Lodge Liaison Officer, Sarah Delaney, can provide you with more detailed information and help you find the best support and service for your situation. We strive to provide excellence in care, recognising and valuing each person as an individual. Within this framework our efforts are directed to the holistic needs of each of our residents, based on individual care plans that encapsulate all facets of daily living including religious, cultural, social and human needs. Our hope is that all our residents will consider Banksia as their home, and our staff part of their extended family. Our staff work co-operatively together as a team. They will act in a friendly manner, promoting a supportive environment and respecting the dignity and privacy of all who receive care at Banksia. We believe that our residents’ friends and family are part of our team. We work together with them to provide the best support we can for our residents. We encourage residents to participate in the wide range of daily activities available, according to their choice and capabilities, to support them in maintaining their life skills. We assist them in seeking and receiving medical attention as required and to maintain their “Resident Status” until such time as Banksia is unable to provide an appropriate level of care. Banksia provides a home-like environment which strives for excellence in care, and continuous improvement promoting security of tenure and hence peace of mind. 1. Do I need to think about moving into residential aged care? 2. Who can I talk to about my financial situation? You should always contact your own personal financial advisor or legal representative. A free and confidential service is also available from Centrelink’s Financial Information Service website, or you can call them on 132 300. A combined Income and Assets Assessment must be completed by Centrelink for all persons entering residential care. The assessment can also be done by the Department of Veterans’ Affairs. 3. How much does residential aged care cost? The Australian Government pays for the bulk of aged care in Australia. You will never be denied the care you need because you cannot afford it. However, as with all aged care services, you may be asked to contribute to the cost of your care if you can afford to do so. How much you pay depends on your financial situation. However, there are strong protections in place to make sure that care is affordable for everyone. The Australian Government sets the maximum fees for care and daily living expenses, and there are also rules about how much you can be asked to pay for your accommodation. Banksia Lodge’s fees and financial arrangements are in accordance with these guidelines and rules. If you are required to pay an accommodation contribution or an accommodation payment, you will have 28 days from the day you entered an aged care home to decide on your payment method. You can choose to pay your accommodation costs by a lump sum, daily payments, or a combination of both. What you will pay will be set out in a Resident Agreement between you and your aged care provider. Learn more about our fees here. Banksia Lodge is a fully accredited and government regulated residential aged care facility. To be recognised as an approved provider under the Federal Government Aged Care Act 1997, residential aged care facilities must undergo an external evaluation process which is administered by the Australian Aged Care Quality Agency . Read about Banksia Village’s accreditation.